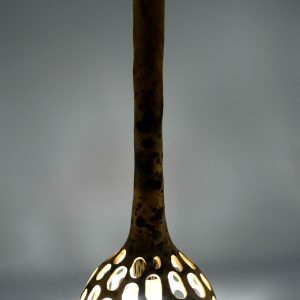 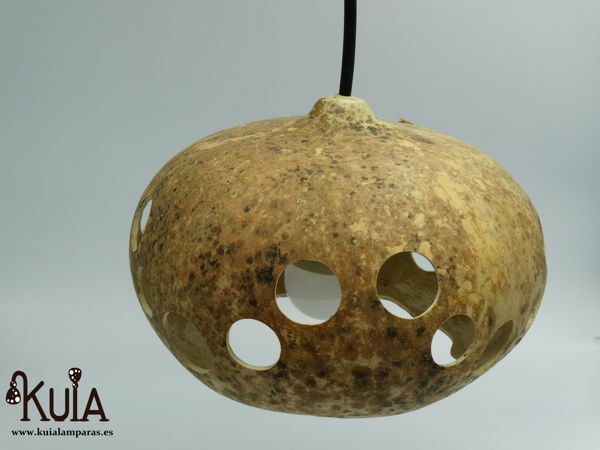 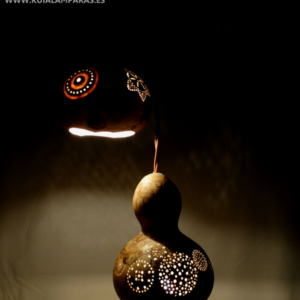 A design ceiling lamp made with gourd that has been hand-carved. 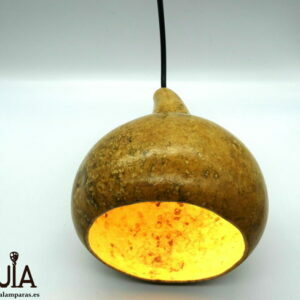 An ecological and natural lamp designed to hang anywhere in your house. 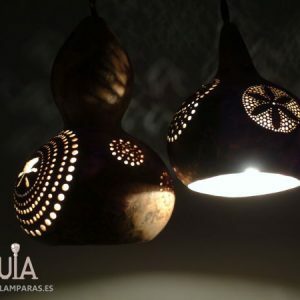 With a simple design and at the same time very beautiful, with a series of circles totally pierced by where it will emit an optimal lighting for the day to day of your home, and on the bottom part, a large opening that will focus directly on the ground giving a good lighting to the environment below.Its wood color, makes it a design lamp that fits very well in rustic environments where wood color is the predominant. 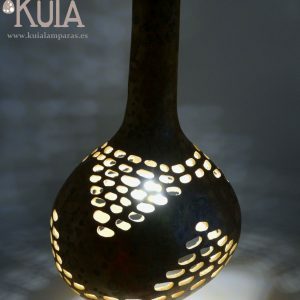 This pendant lamp is ideal to put in kitchens or terraces, giving a warmth and temperance to the place that will turn it into a cozy and romantic place.Enjoy this handmade lamp made by Kuia Lamps, ask for it now and in a few days you will have it in your house ready to illuminate your life.